What does my 2-Day wristband get me? 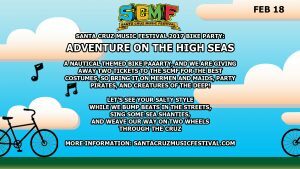 The 2-day Event Pass gets you into every participating venue for SCMF 2017 as well as the special events, Santa Cruz Speaks, San Lorenzo Park, The SCMF Beach Clean Up, SCMF Yoga Sessions, The SCMF Bike Party, and The SCMF Comedy Tour. Age Restrictions do apply and vary per venue… Age 21 venues include the Upstairs stages in the Catalyst Club, The Blue Lagoon, Motiv, and Cafe Mare. 99 Bottles and Rosie McCann’s are 21+ after 10 pm. Where do I pick-up my wristband? 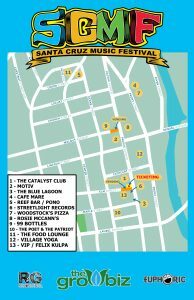 You will be able to pick up your wristband in the parking lot at the corner of Pacific Ave. & Elm Street, right next to the Catalyst Club. You will exchange your physical tickets for wristbands at the ticketing booth. Those who selected WILL CALL will show their IDs and get their wristbands. Please also have the purchasing credit card ready in case there are any issues. We are currently working on finalizing the set times for this year’s huge event! Because we have so many acts, we are carefully curating the weekend and should have our schedule ready early February! What are the venues participating in SCMF 17? YES, SCMF17 will have an app! It includes a real-time display of all participating venues, the many different artists performing, and which times they are playing. This app will serve as the community’s how-to and where-to-go throughout the event. 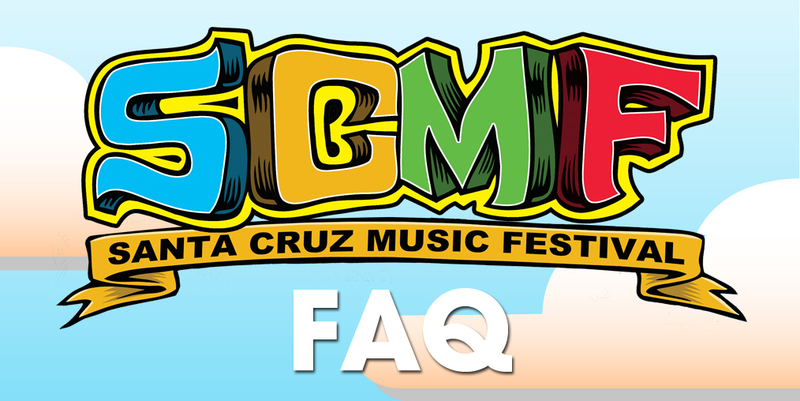 What special events are at SCMF 17? YES, GET THERE EARLY! Each venue will have it’s own capacity restraint. The policy is first come, first served. We HIGHLY recommend getting to a venue early if you want to see a certain artist. There will be lines at each venue, as people leave the venue, new people will be let in from the line. We apologize in advance for any wait or if you are unable to see an act you want to see. 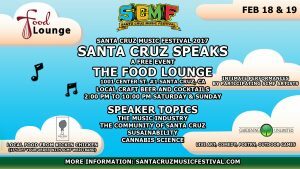 Will I be able to drink alcohol or smoke in Downtown Santa Cruz or San Lorenzo Park? NO, there is no drinking or smoking allowed in Downtown Santa Cruz or San Lorenzo Park. Drinking is allowed in approved venues and smoking is not allowed on Pacific Avenue. Red cups will be checked in the Downtown area. At this point and time (and with how tickets are selling) there will be NO single day passes available. YES, age restrictions vary upon venue. 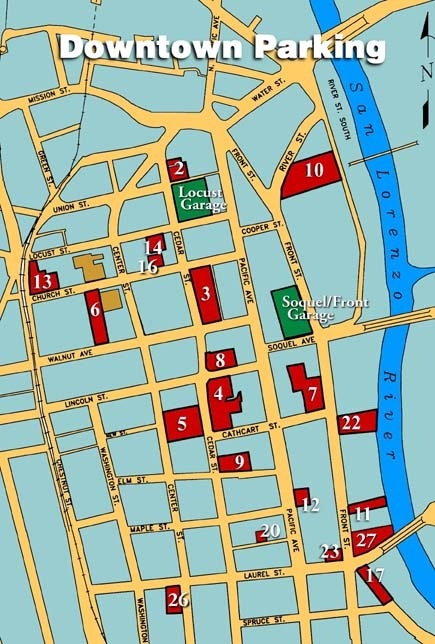 Age 21 venues include the Upstairs portion of the Catalyst, the Blue Lagoon, Motiv, and Cafe Mare. Also, 99 Bottles and Rosie McCann’s are 21+ after 10 pm. Our faces are on fire and the event hasn’t even started. Parking in Santa Cruz can get a bit hairy, especially during festival time. So, we’ve put together a Parking Guide for you to easily find a spot to place your wheels. Most of the lots, and all of the garages, are pay-to-park so make sure you have plenty of change, bills or–in some cases–your credit card ready. And be sure to keep track of your time to avoid any unseemly parking tickets because the Santa Cruz Parking Enforcement officers are quick and efficient. Each lot is conveniently located near one of our SCMF venues so no matter where you park, there you are!